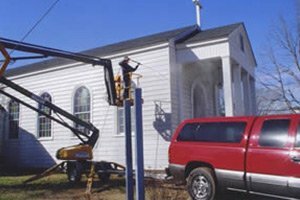 At Taskmasters Wood Maintenance, we specialize in many fine services, with a niche for log home and wood restoration, as well as exterior pressure washing. We are an independent mobile business, but also a family owned and operated one. This means that we are beyond committed to providing you with superior workmanship and exceptional results, wherever you are in North Carolina, South Carolina, or Virginia. We're the log home restoration and wood maintenance specialists you can trust. We work with both residential and commercial customers, offering the same level of integrity, quality and attention to detail, no matter what type of job we take on. 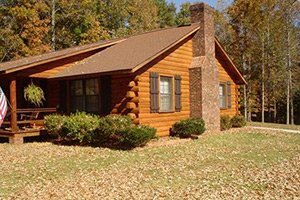 What prompted us to start this business and travel between North Carolina, South Carolina and Virginia was the lack of existing, reputable log home restoration service providers. Knowing how hard it was to ever get work completed in a prompt and professional manner when it was needed, made us realize just how high a demand there was for an expert service provider. So we relied upon on our own extensive history in this field, furthered our training and mastered our skills through plenty of hands on experience. It makes sense to want to find a reputable and dependable industry expert for your log home restoration service needs. Owning a log cabin is a piece of the American dream; nothing can beat the rustic charm or natural beauty they deliver. With the right maintenance and restoration work, your log home can withstand the tests of time, for decades to come. We take great pride in the work that we do and in our ability to provide our clients with long lasting results. There is no reason why your log home cannot continue to offer you the best in quality performance and maximum longevity. Don't procrastinate when it comes to work that is this important; call now to get started. Adding wood features to your property, like a wood deck or dock, is a wise decision to make. A well built deck or dock adds so much to the visual aesthetics but also provides the necessary functionality you seek. The only trick is making it a point to get ongoing service work so that you can maintain the integrity of these features. As the local wood restoration experts, it only makes sense that we would be the trusted pros for this type of work. The bottom line is that we care about providing you with quality workmanship and long term results. When it comes to caring for your roof, soft washing is the only way to go. Your roof is responsible for protecting the entire rest of your home or business from the elements. It is important to keep it cleaned and maintained without subjecting it to possible damage, like pressure washing can cause. Pressure washing is ideal for many exterior cleaning projects, your rooftop is not one of them. 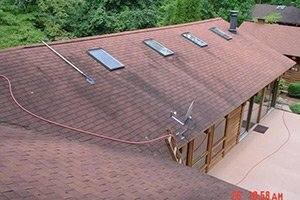 Let our pros provide you with the soft wash roof cleaning that will help enhance the appearance and condition without compromising the integrity. For your other, appropriately suited surfaces, pressure washing will help with a quality clean. Rid these surfaces of unsightly dirt and grime. Yet also remove the likelihood of exposure to allergy irritants or pathways for foot traffic covered in slick algae leading to injuries. There is no reason to put off getting this important work, when you already know the name to call on. Let Taskmasters Wood Maintenance team take care of it for you. Quality should always matter when it comes to your home or business. This is why so many wise property owners and savvy consumers do their research and end up choosing Taskmasters Wood Maintenance. Don't settle for less than the best. We look forward to working with you and providing you with the service that you need and the quality results that you deserve. Make the wise choice to get in touch with us right now, as we can begin working on your wood restoration, pressure washing or other exterior project. 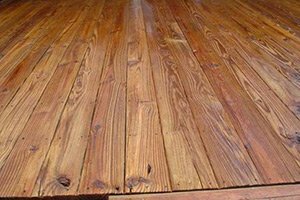 If you are looking for a wood restoration expert then please call 252-266-9457 or complete our online request form.